Recognized as one of the most innovative and successful leaders in sports, media, and product marketing, Roberto Muller created and was the first chief executive officer of Pan-American Sports Network, which became Latin America’s most watched cable sports network. Previously, Muller was the president of Reebok, and was instrumental in taking the company from a women’s fitness brand to a worldwide-diversified performance sports brand. Under Mr. Muller’s leadership, Reebok formed subsidiaries and/or initiated distribution in 60 additional countries. Prior to Reebok, Muller founded PONY Sports and Leisure. 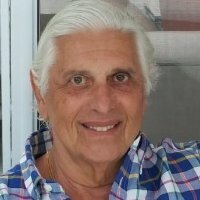 He developed products for and equipped top professional athletes and college teams and created the marketing platform that turned PONY into an icon brand in several sports. Before leading several companies, Muller held various senior management positions at Levi’s, in Argentina and the United States. He started as head of Levi’s Latin America, the company’s first fully integrated subsidiary outside the U.S.